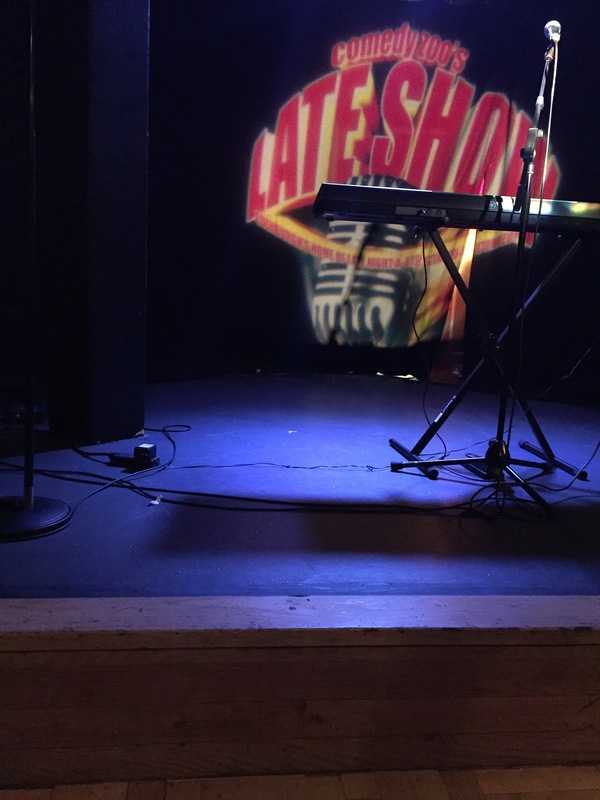 I really enjoy these late shows where you have no idea who will be on the bill. As I usually do, I aimed for the front row, where there were several spaces. This was good luck, I thought, considering that the queue had been so long. It soon became apparent that the compare was going to start narratives about, and start a conversation with people sitting in the front row and the row behind. There was a constant dialogue with a guy who admitted he was from Orpington and also a group of young people – ‘those young people’. Indeed, the compare was quick witted and smart and did an excellent job at giving an overall coherence to the show. On the night I went there were four acts. Unfortunately, I didn’t catch the names two of them. Not that they weren’t very good. The young woman did a great job, especially as she was first on (after the compare). The other guy presented himself as a rather weird guy that you wouldn’t want to be friends with. I found his deadpan style extremely entertaining. 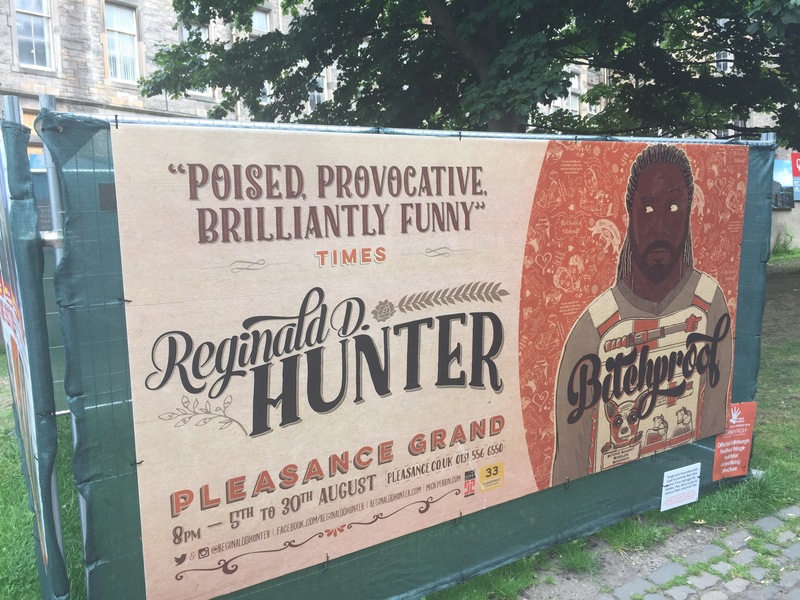 Then came Milton Jones and Reginald D. Hunter. I think I recognised them both because I watch Have I Got News for You, rather than TV comedy shows. I was impressed with both of Jones and Hunter. Jones’ humour is based on his quirky appearance and one-liners and so is quickly paced. Hunter’s comedy challenges our assumptions and our prejudices and is hard hitting. ..and yes Hunter did pick on me once. I could see him looking and thinking whether he should or not. He made reference to my size, but actually in a polite way. Maybe this was a warning that harsher comments may come in the future if I sit on the front row to watch a comedy show. I must admit though I did love being that close to the acts and to be able to enjoy the performances. It was a great end to the second day.